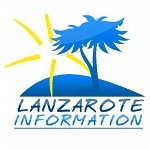 Lanzarote resident Larry Yaskiel’s book The British connection to Lanzarote & The Canary Islands was recently launched in London. Norman attended another concert at El Almacen in Arrecife last week. This time he learned all about Fado Music, courtesy of Sara Correia.